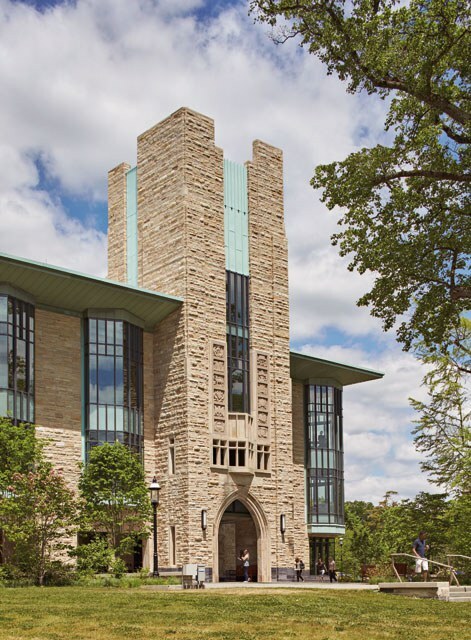 Renowned for the depth and continuity of its collection, the Princeton Theological Seminary Library attracts visitors from around the corner and around the world. Visitors to the library, including persons who have purchased library cards, may park in one of the 10 identified visitor spaces along the hedgerow in the Library Lot without a special permit. If those spaces are occupied, additional parking is available outside the Library Lot: along Mercer Street, Library Place, Stockton Street, and in the municipal lot next-door (metered parking). The Library Lot is monitored. Vehicles parked in non-visitor spaces within the Library Lot without valid, current PTS parking permits (or temporary permits issued for specific events) are subject to ticketing. Enjoy fresh brewed coffee, lattes, iced coffee, frozen drinks, salads, sandwiches and other tasty items available for purchase during café hours.